Lawang Sewu. Lawang Sewu is the most popular tourism site at Semarang, Indonesia and become Semarang icon. 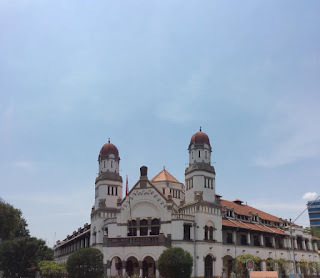 Lawang Sewu is headquarters building of the first railway company in Indonesia with previous name "Spoorweg Nederlandsch Indische Maatschappij (NIS)". The word Lawang Sewu from Javanese language "lawang" = door and "sewu"= thousand, this words means a lot in old Javanese. Lawang Sewu. Many people came to Lawang Sewu to see the magnificent building, that stood more than 100 years ago. Here you can see also the photo's of railway situation in Java earlier of 1.900 AD, railway materials, old library, etc. 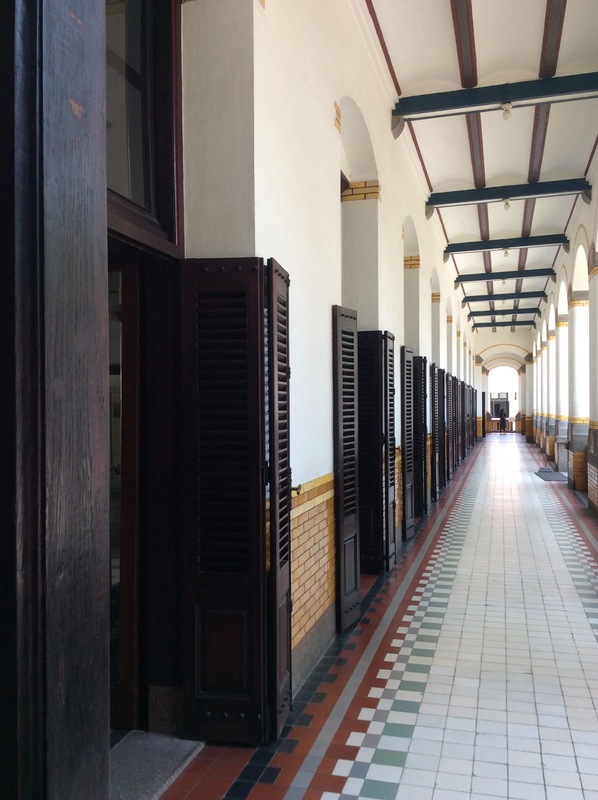 Visit Lawang Sewu semarang, you can imagine how great that building still exist untill present time. Lawang Sewu built at 1904 AD, most of the building materials were imported from Europe. The first architect who designed draft the Lawang Sewu building was P.de Rieu and continuing by Prof Jakob F Klinkhamer and BJ Ouendag. Lawang Sewu has 3 main building consisting of two building connecting by bridges and one building for ticket printing. The first building was a house keeper's house and printing house, and building expanded with new building 1n 1916 - 1918 AD. Lawang Sewu as the NIS administration building was decorated with various ornaments of famous Dutch artists and craftsmen. The wheel in one of the windows depicts the triumph of the railways in the future. The windows also depicted the flora, fauna, and the figures of Javanese batik and symbols of the beauty of nature and local culture. Semarang driver guide from Abhisekatour branch Semarang will do happy to take you Semarang tours, also visit to Lawangsewu a great Semarang heritage building. 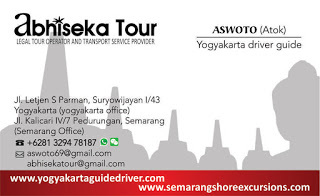 Semarang driver guide will inform you, explain to you whatever you asked to during tour. Semarang private driver. We are team of semarang driver guide who ready to serve you a kind private tour and private car driver hire. We are stand as a tour operator in semarang that serve private tours for world cruise lines like Costa Victoria, The World, Holland America Line, etc which ship dock at Semarang port - Indonesia. Semarang driver guide. 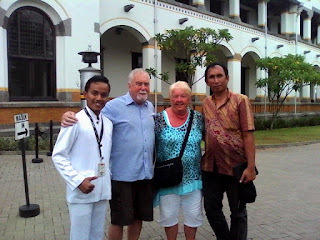 My company offer semarang shore excursions a world of choices tour in Semarang, Java. 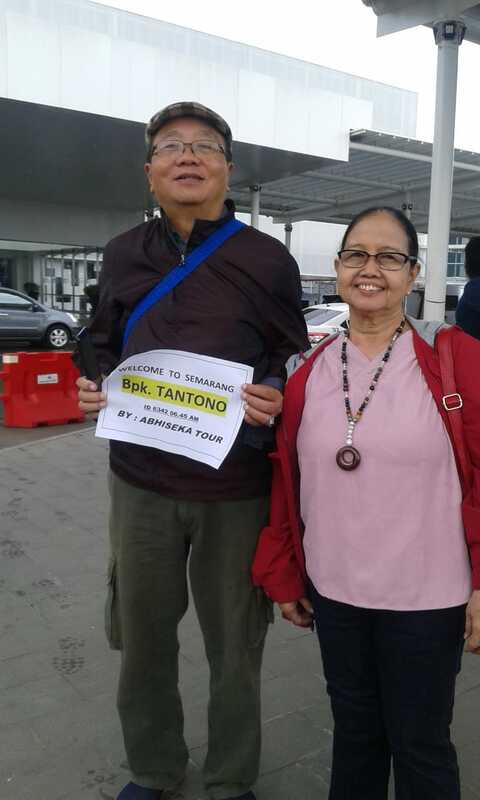 You will get exclusive touring option for independent minded travel agent so you can customize and maximize your time ashore by booking our semarang transport in advance. As cruise vacations in Semarang, we provide borobudur tours for a day tour in semarang. A trip to the inspiring temple of Borobudur, one of the most incredible creations. Semarang driver guide. 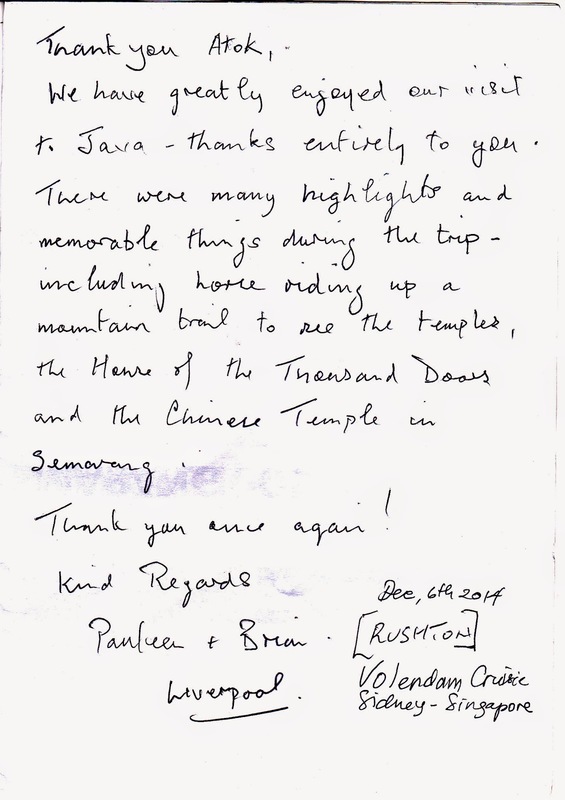 We have private tour program and also big group tour programm with using bus. 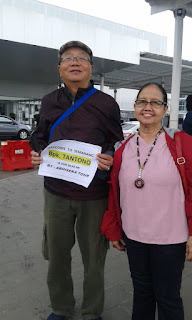 All our semarang tour car and guide drivers well skilled, polite, friendly, trustworthy, English speaking tour driver guide, understand the culture of Indonesia especially Central Java and Yogyakarta, as well as the driver of a car whose give you full of solutions to problems that may arise in the field. Semarang private tours. All of the above is your consideration in choosing the right International Tour Operator in Yogyakarta and Semarang, an International Tour Operator and tour driver to take you to your desired destination in Semarang, Yogyakarta tours, Solo tours, Banyuwangi tours, even other cities. 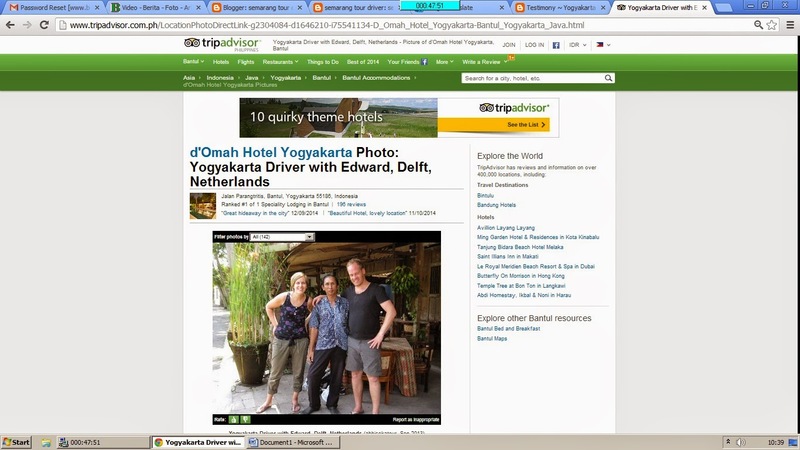 We do knew about all Central Java, Yogyakarta, and East Java tourism spot. 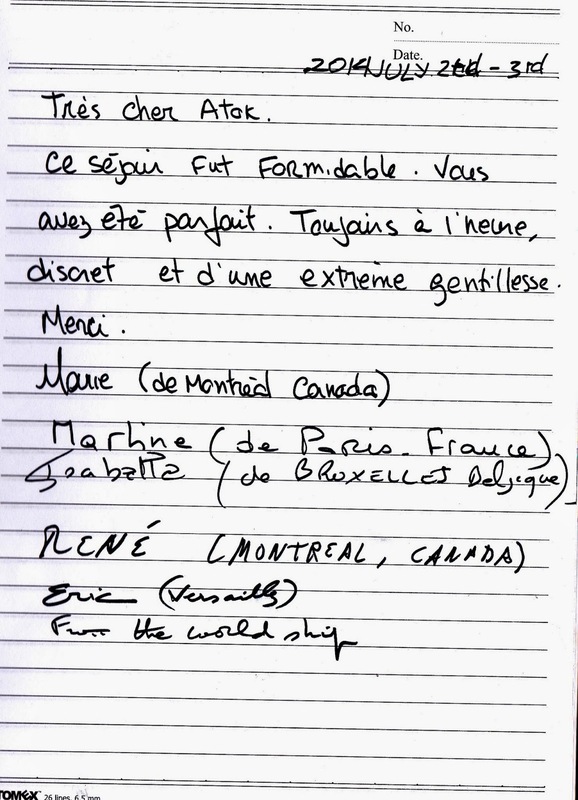 Many tours are limited. 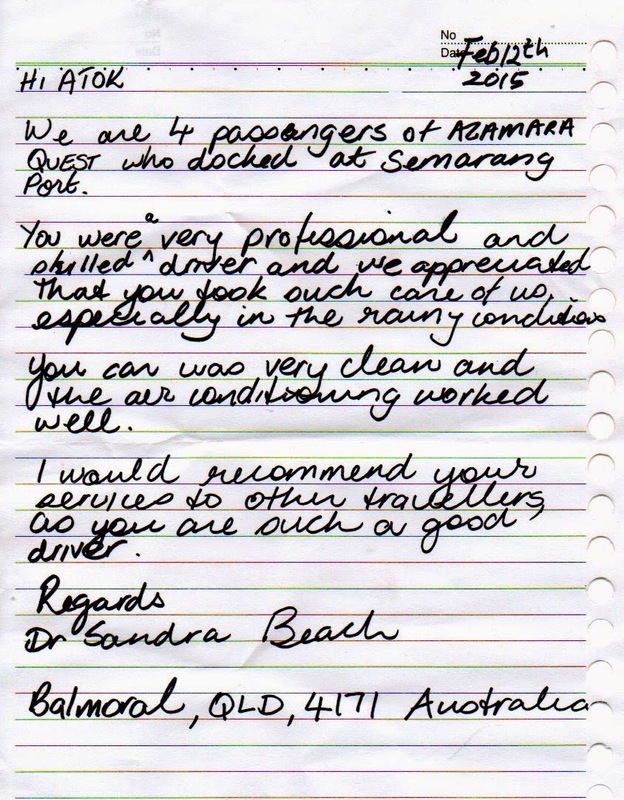 We highly recommend you book early to avoid disappointed. We have team tour guide driver in Yogyakarta (1st), then Semarang (2nd), and also in Bromo (3rd), Bali (4th), Lombok (5th), Banyuwangi (6th), and Medan (7th). Our main concern and commited was provide great excursion cruise tour choice for you who want see and get experience as much possible in small amount of time. 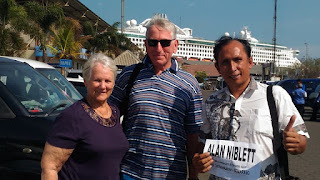 Abhisekatour, a Java - Bali tour company. We make tourism business start from Yogyakarta, and day by day we take foreigner tourist from many countries in the world who want to come to Yogyakarta by flight or train. After several years we did it in Yogyakarta then we develop to make Semarang Tour Driver and serving many foreign guest from cruise that ship dock at Semarang Port. 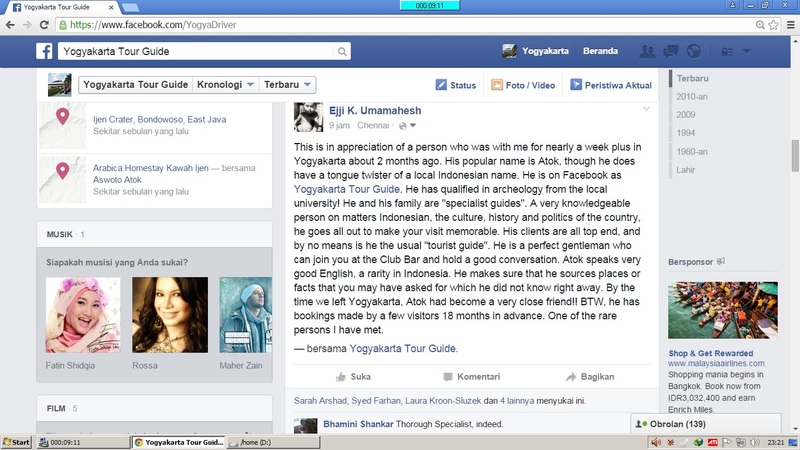 For more complete to see and considering to use our services, please kindly click this URL : Yogyakarta Guide Driver. Rental mobil semarang. Kami perusahaan tour agent dan rent car di Semarang yang memiliki Semarang driver yang ramah, profesional, dan berpengalaman. Armada kami terdiri dari toyota avanza, daihatsu xenia, isuzu elf 14 seats, toyota hiace 14 seats yang relatif baru dan siap membawa Anda ke tujuan. 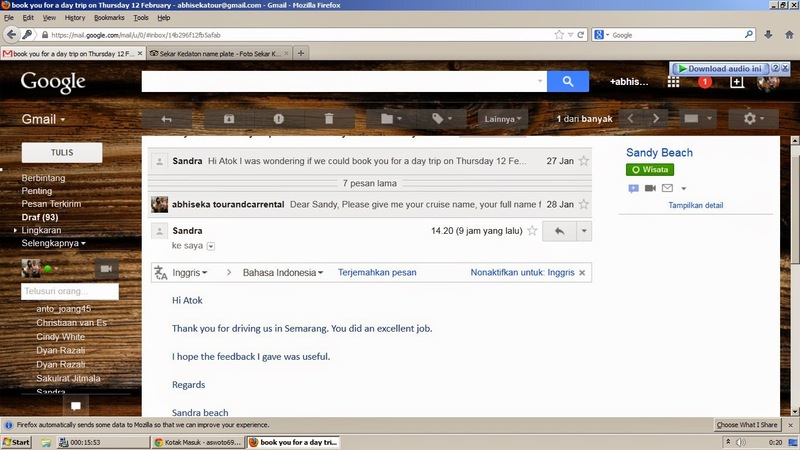 Usaha semarang tour dan rent car semarang kami bernama Abhisekatour, yang dapat Anda lihat ratingnya di : ABHISEKATOUR TRIPADVISOR. Sewa mobil Semarang. Kami menjalankan sewa mobil Semarang bersama driver Abhisekatour (tidak lepas kunci), sehingga Anda dapat mengoptimalkan energi untuk perjalanan dan segala aktifitasnya. Segala trip sewa mobil semarang akan kami kerjakan, seperti perjalanan pribadi, perjalanan wisata ke semarang, wisata ke Jogjakarta, wisata ke Purwokerto/Tegal/dll. Driver kami juga dapat berbahasa Inggris, jika Anda membawa keluarga yang berasal dari mancanegara atau tamu langsung dari mancanegara. 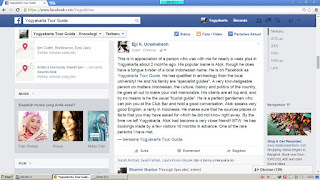 Silahkan lihat di facebook : YOGYAKARTA - BALI DRIVER. Semarang rent car. Anda dapat menyewa mobil dan driver kami berdasar jam atau berdasar program perjalanan, dan dapat juga menyewa mobil dan driver saja (bbm, parkir, tol, makan driver dari penyewa mobil), atau sewa mobil Semarang all in (driver, bbm, tol). Harga semarang rent car kami reasonable (ukuran harga yang jelas), atau tidak mahal. 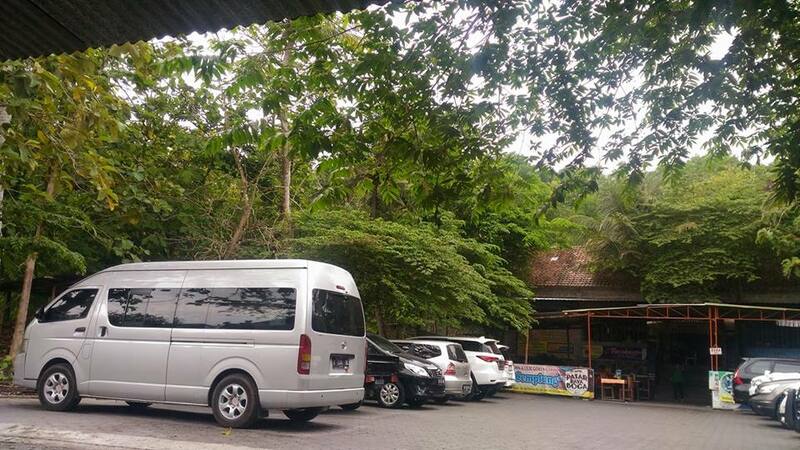 Semarang rent car adalah jasa layanan private transport service, sehingga 1 nama group tamu memakai 1 mobil dalam 1 hari. Kami tidak membuka share tour/join tour dimana Anda berada didalam 1 mobil bersama group tamu lain. Dengan private transport service maka perjalanan Anda tentu akan lebih privacy. Semarang Port to Borobudur temple. Semarang shore tours with semarang tour driver ATOK. We have reasonable price for private semarang tour driver for you who want borobudur tour or travel to borobudur and yogyakarta tour. We have 6 drivers in Yogyakarta, 3 drivers in Semarang, 3 drivers in Bali, 2 drivers in Surabaya (to take mount Bromo tour), all can take you even in small groups or big groups. So, why have to spend more money if you can get more good price with same service quality ? Semarang shore tours. With our experienced to ground handling foreign tourist also cruise passangers for semarang shore excursion many years so it will be first concern for you to considering choose us for your tour in semarang and around. You can use too for Bali shore tours to visit Celukan Bawang or Kintamani tours. Semarang Car Rental Driver. 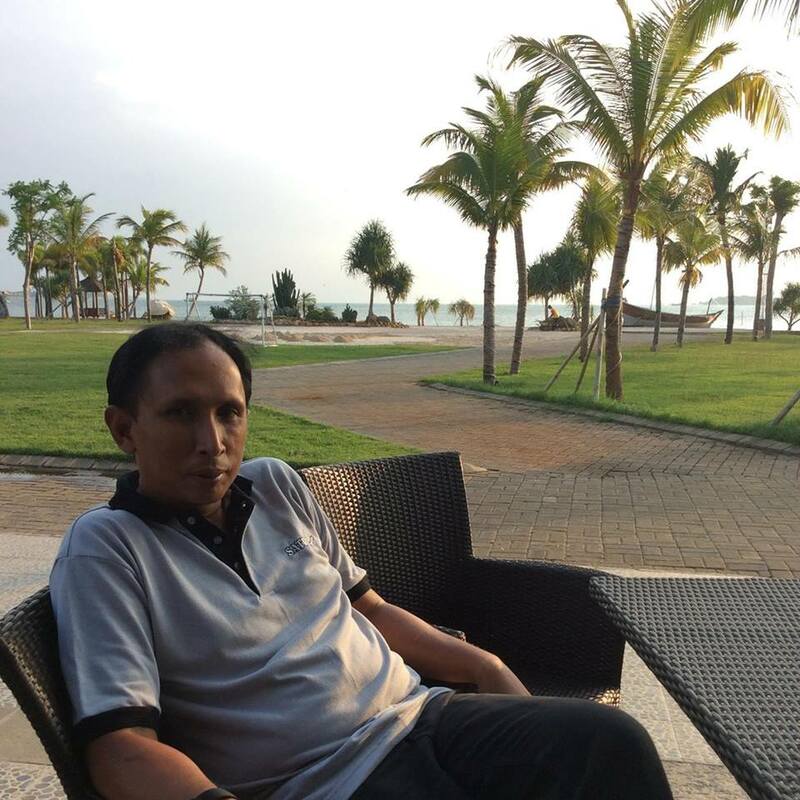 Semarang tour driver ATOK also serve you who doing proceed your business or traveling Semarang to Jepara, Kudus, Pati, Juwana.